Missing out on ski season this year? Too long to wait for an annual ski trip? 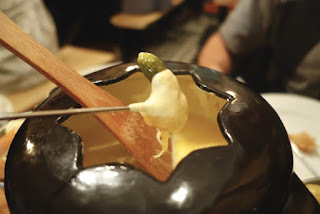 Can't actually ski but love the thought of boozy hot chocolate and fondue with your mates? Then The Lodge, the recently opened pop-up apres-ski venue in Clapham, is for you. 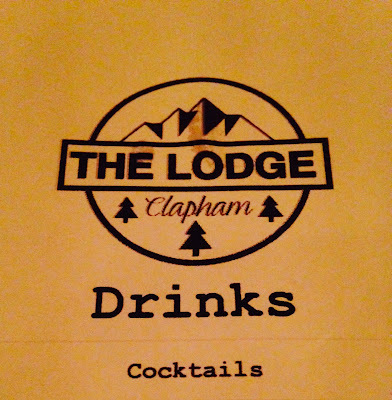 Situated above the Clapham North Pub, The Lodge is a restaurant serving up traditional Alpine fare. The menu comprises delicious meals and sharing platters, as well as its signature fondue with cheese from Neal's Yard (trust us, it's amazing). But more than good food, The Lodge does drinks. Really, really good drinks. From Alpine beer to their signature hot cocktails, they've got this down. I visited with a group of friends, and we started the night trying Hot Toddies, classic cocktails and the signature Buttered Rum. The drinks menu features classics mixed with signature serves - and most can be ordered hot or cold; perfect for those chilly winter nights. There are warming, boozy, heady punches, creamy, rich hot chocolates, and festive mulled wine and cider. Le Grande Bosses Butter Rum was a big hit - warming, rich, slightly spiced and topped with meringue, it hits the spot. The Earl Grey Martini, developed by head bartender, Lachie, is strong, sharp and aromatic. We had it served hot, which really brought out the citrus flavour. Like many of the drinks at The Lodge, it can be ordered by the cup or by the teapot (or, in the case of the hot chocolate with orange liqueur, by the Thermos) - great for sharing, or if you're really thirsty. 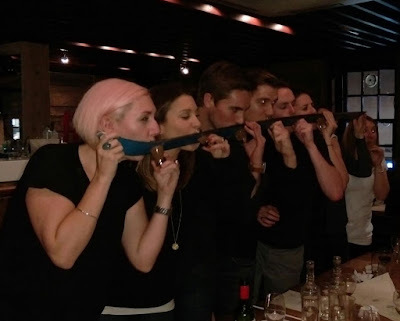 We ended our night with a Shotski - The Lodge's own ski with shots of Werther's Original Vodka. I'm not one for toffee, or even vodka, but man this stuff's good... or maybe I'd had too much mulled wine by that point. Plus, ten points for novelty and a great photo opp. Can't quite afford a trip to the slopes this year? Make your way to The Lodge instead - all the fun of apres-ski, without the expense (or the cold). Follow The Lodge on Twitter or Instagram for pictures of hella good food and drink, or get in touch to book a table.